Markus described this movie to me as pure 80s B movie schlock. So how could I possibly say no to that? The film takes place in a small fictional town in Idaho where the police chief is investigating a string of disappearances and murders. He teams up with a government scientist and they find the cause to be something quite toxic. As soon as the film started, I got some real Toxic Avenger vibes and was half expecting Toxi to come jumping out. I will say that The Being isn’t as traumatic as Toxic Avenger. I hated that movie so much and it turned me off of Troma films for life. Overall, The Being is a pretty bad movie. It comes across as a film that someone made in high school. The lead character even does some pretty awful voice over narration, completely devoid of emotion. He comes across as awkward and possibly even drunk. The film’s pacing is really slow and takes forever to get to any sort of plot progression. Most of the movie is just random people dying and the main protagonist doing some real leisurely detective work. When you finally reach the climax of the movie you get to see the monster in all his soggy glory, but you’re no longer interested. Even the monster’s death takes forever, and is ultimately mundane at best. I would say this is not even a film that’s so bad it’s good, it’s just bad and I do not recommend it. The film follows Dr. Russell Marvin a scientist who oversees Project Skyhook, an American space program that launches satellites into space. Strangely enough this movie reminded me of Independence Day. Both films have multiple alien ships invading earth and stationing themselves in famous cities. The aliens in both movies threaten to take over the planet and kill anyone who tries to stop them. I really wanted to like this movie and there are definite moments of brilliance, but it just fell flat. The stop motion special effects were the saving grace and the only thing that peaked my interest. That’s not surprising since they were done by stop-motion master, Ray Harryhausen, who is well known for his work on the 1981 film Clash of the Titans. All of the best scenes are of the UFOs flying over different cities. Markus and I were both pretty impressed at how gracefully those scenes have aged. The aliens are pretty interesting, but they’re your standard 50s alien. Unfortunately, I don’t think that the special effects are enough to save this movie. You’re probably just better off watching all the UFO clips on YouTube. Through Creepy Cinema, Markus and I are slowly making our way through the Universal Classic Monster films. So far, I’ve watched Dracula, The Creature from the Black Lagoon and The Invisible Man and remember loving all of them. It’s strange to think that black and white films from the 30s can still be interesting and entertaining, but there’s something magical about the Universal Classic Monsters. It came as no surprise that I also really enjoyed Frankenstein. I’m sure I don’t have to explain the story of Dr. Frankenstein and the creature that he pieces together and reanimates. It’s a story that’s been done over and over, but it’s nice seeing the original. The real winner of this movie is Colin Clive and Boris Karloff who portray Dr. Frankenstein and Frankenstein’s monster. They were incredibly amazing in their roles and for someone who “just grunts” their way through the film, Karloff is able to bring a some humanity to the creature. At times you really feel sorry for him, because he had a choice in his creation. His whole existence is at the whim of a mad scientist who is obsessed with his work. I really loved the atmospheric vibe of this movie. The sets and costumes are so moody and lush. I’ve seen enough of these older horror movies to be able to identify the good ones and I find that the Universal films have a higher quality with no expense spared. If you know Markus, you know he is a HUGE Ghostbusters fan. He has heaps of vintage Ghostbusters memorabilia, and even has every version of Egon Spengler from the 80s Kenner toy line. It’s really quite adorable and it’s only natural that we have both movies on VHS. Previously, we watched the first Ghostbusters for Creepy Cinema. We always need a little levity every year, so Markus suggested that we add the sequel this year. The film is set five years after the first and follows Egon, Ray, Peter and Winston as they navigate life after saving New York City from the demi-god Gozer. You would think that they would be treated as kings, but humanity always has a way of being ungrateful. The guys are forbidden to have anything to do with the supernatural, but of course spooky things always have a way of finding the Ghostbusters. I remember this film from my childhood and it has always been a favorite. I haven’t seen it in ages, but it was nice watching it again, especially on VHS. Usually sequels aren’t as good as the first, but this one was still pretty good. In some ways it was better, like not have to go through the set up and getting straight to the good stuff. 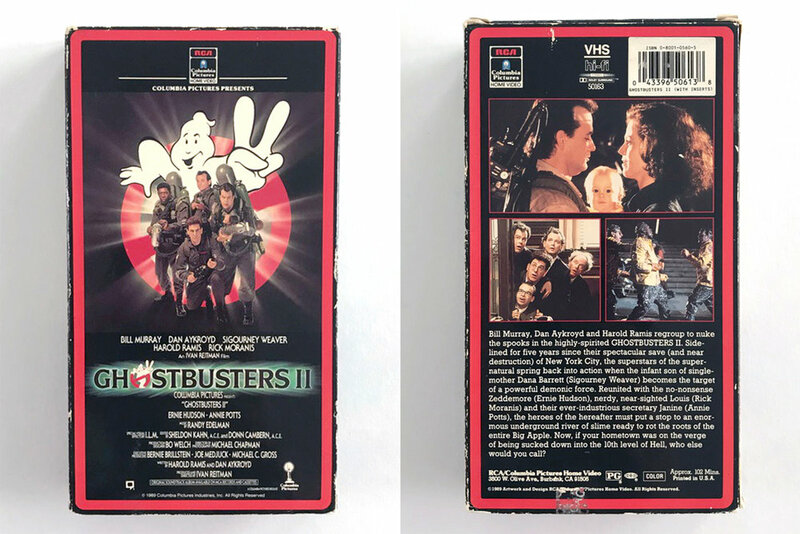 Ghostbusters is a classic 80s movie that never gets old and is always fun to watch! It feels like the past few years have seen a surge in all things Stephen King. Not that I’m complaining, if you followed last year, you know I reviewed the new IT and absolutely loved it. A year later, I still love it and wish all scary movies were just as fun. Admittedly, I didn’t know much about Christine, I only knew that it was a about a killer car, so I knew it was going to be interesting. I was also happily pleased to see it was directed and scored by John Carpenter, so I knew it would have a nice synth soundtrack. The film follows a nerdy kid named Arnie who is bullied in all aspects of his life. His only reprieve is when he’s with his best friend and jock, Dennis. Arnie becomes obsessed with restoring an old junky car to it’s former beauty which is named Christine. After Christine is restored, strange and deadly things start to happen to people in Arnie’s life. I was hesitant to give Christine a “So good” rating, but I also don’t think it warranted an “It’s aight.” I like the premise of a possessed car terrorizing people in the name of a bullied teen, but there were some things that I couldn’t look past. The pace of the movie is quite slow and the storytelling is quite disjointed as it goes back and forth between Arnie and Dennis. We don’t even see Dennis for most of the second act. I did love the soundtrack, the premise and of course Christine, who is one cool car. Overall, it wasn’t a perfect film, but it was definitely an enjoyable ride! I knew nothing about Wishmaster before we added it to the list this year. Judging from the title, I assumed it had something to do with wishes going wrong and I was totally right! The story begins in an ancient Persian palace, where a king’s wish goes horribly wrong because of and evil djinn (genie). The djinn wreaks havoc on a huge celebration, and what ensues is the stuff of nightmares. Extreme body trauma, people turning into giant snakes, and monsters galore. However the king’s alchemist stops the djinn by trapping him in a jewel. We then jump forward in time to the present day (the late 90s), where the djinn manages to break lose and wreak havoc on humanity once again. This time he specifically preys upon the main character, a woman named Alex. I really enjoyed this movie and thought it was really well done. Also adding to the fun of this movie, there were tons of little cameos from iconic horror actors, like Robert Englund (Freddy Krueger), Tony Todd (Candyman) and horror special effects wiz Tom Savini. Since I’ve been doing this for six years, it’s actually quite fun being able to pick out these people. However the real star of this movie is the Wishmaster himself, played by Andrew Divoff. He was phenomenal as an evil djinn, and was probably one of the best and most unique villains I’ve seen in a long time. Every time he was on screen, my eyes were drawn to him. The way he spoke and the intenseness of his gaze was really captivating. All the other characters were just filler until he returned on screen. In fact he was so good, that I’m interested in seeing him in other films. He’s a real Jeffrey Combs in my eyes. I cannot recommend this movie enough, even if it’s just to see Divoff portray a deranged djinn in a movie bookended by great special effects horror. 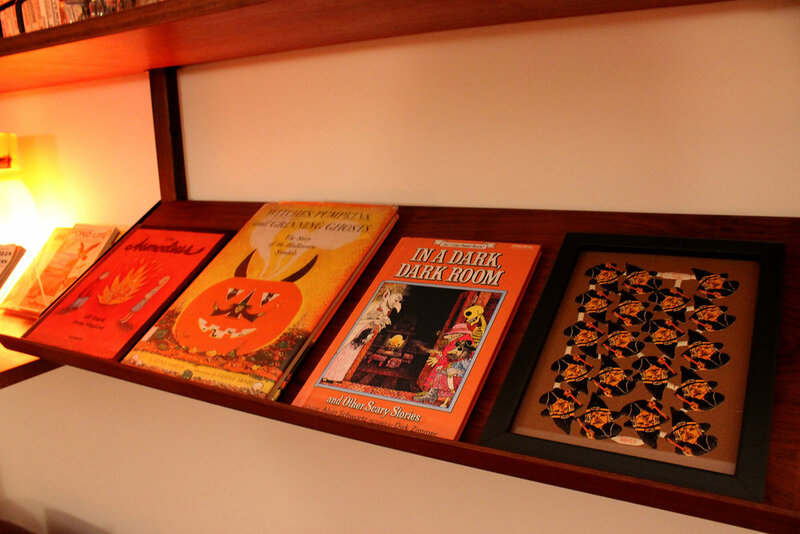 As you probably already know, October is a special month in the Cruz House. 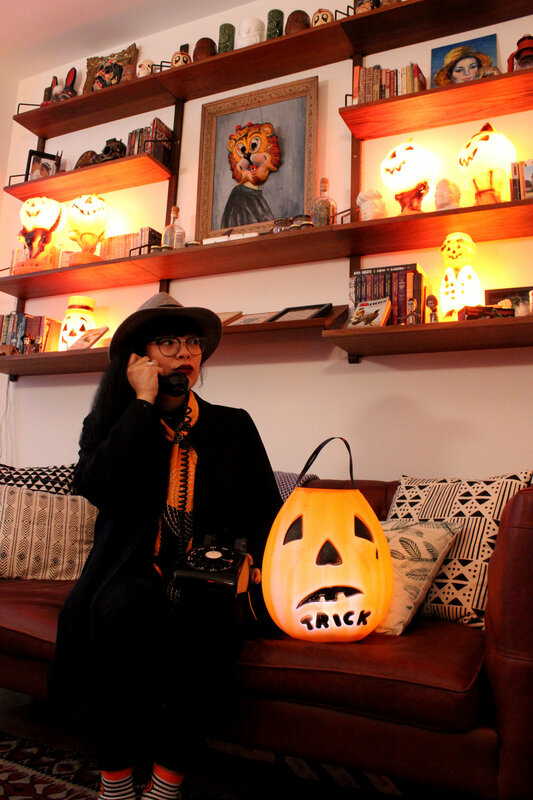 Markus and I count the days until we can cover the house with vintage Halloween blow molds and other bric-a-brac. Last year, I shared how we decorated our old apartment, but we’ve since moved to a fantastic new apartment. We had to get rid of a lot of furniture and bookcases to make the most of space in the new place. Since our setup changed drastically, Markus and I couldn’t wait to bring out all the decorations. I think it was a success because it looks even better than last year. My favorite is still the vintage Ben Cooper masks over my oil portrait collection. That was a stroke of pure genius from Markus! I absolutely adore how it all looks with the new furniture and how it fits perfectly with the new space. I love it so much that I wish I could keep the decorations up year round. This movie was the inspiration for the 1982 film, John Carpenter’s The Thing, which is one of Markus’ favorite movies. 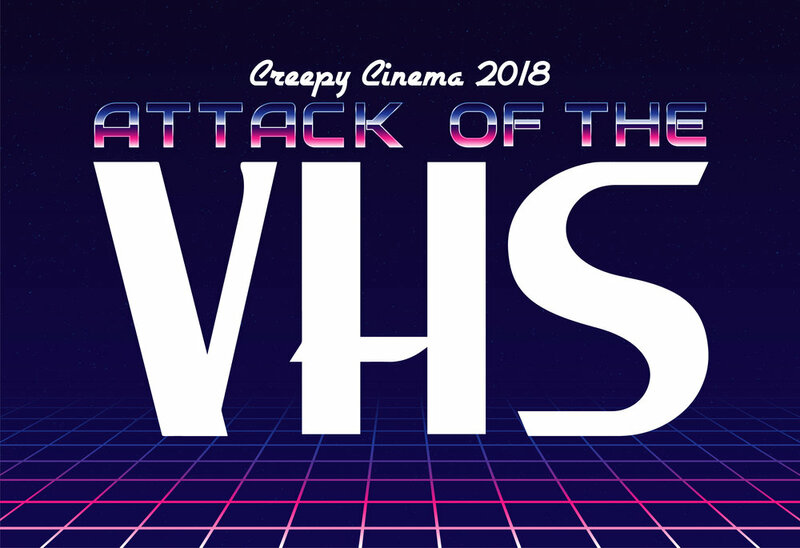 We watched it for the first year of Creepy Cinema, and I have never been the same. So it was very exciting to watch the film that inspired that nightmare inducing bottle movie. The Thing from Another World follows a group of scientists and military crew that discover a crashed alien spacecraft in the North Pole. The group investigates and realizes that there is some “thing” frozen in the water next to the crashed ufo. The rest of the film follows the aftermath of finding the unknown creature and how it affects the isolated group. There are some bad decisions made by the military and the scientists to their detriment. I actually spent some time yelling at the TV when people made poor decisions or went on to “investigate“ a situation. Overall it was a really fun movie and quite scary for the era it was produced in. The film also has an exciting and explosive third act conflict that is a must see. The titular Thing never speaks, is quite menacing and frightening in its own right. However despite all these monstrous qualities, humanity again shows that it truly is the real monster. It’s easy to see why this film would influence and inspire Carpenter to create such a beloved cult classic. Definitely give it a watch. One of my favorite movies we’ve watched for Creepy Cinema is Evil Dead. I’ve never been more terrified in my life. I remember watching with my legs bent up in to my chin the whole time and screaming at anything, even if it wasn’t meant to be scary. I screamed so much that I even freaked out Markus. It was a great time. Seriously, when a movie is so good at scaring the audience, but also interesting and compelling — I kinda get why people become horror fans. Prior to this viewing, I watched Evil Dead 2 years ago and I remember really enjoying it. 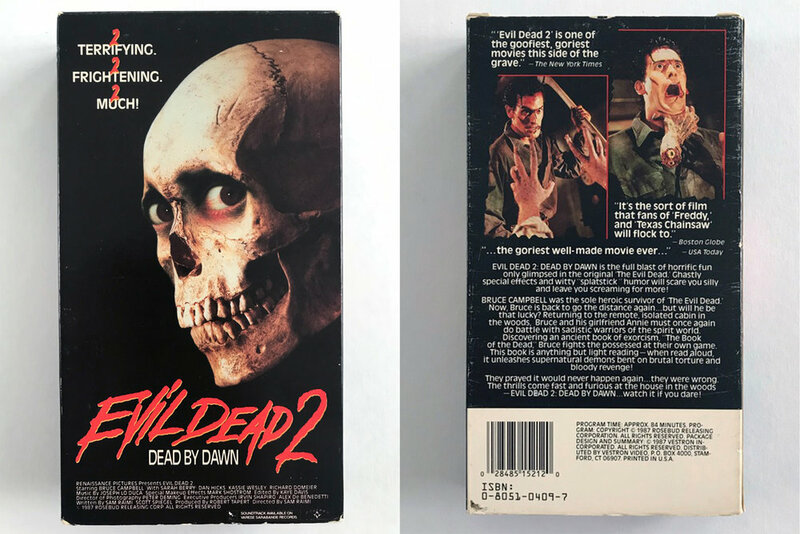 I always described Evil Dead a true horror movie, because it’s terrifying and Evil Dead 2 as the lighter and funnier version. The real star of this movie is obviously Bruce Campbell as the lead character, Ash Williams. I mean come on, look at the dude, he’s so charismatic it’s unreal. While the first film focused on Ash’s character with his friends, this one spent a lot of time with him alone in the infamous cabin. It’s really great to see him grow as an actor and character, and ultimately become the Ash that we all know and love. I will say that I liked the first film a bit more because it was scarier, which I know is so strange. This movie was still incredible, but for different reasons — and it of course lays the foundation for the incredibly awesome movie, Army of Darkness. Oh man, it’s not like I didn’t know what to expect. I mean the movie really is about bats, and a ton of them. Before we saw the movie at the store, I actually didn’t know it existed. But how could I say no to Lou Diamond Philipps and Dina Meyer, aka Dizzy Flores, from Starship Troopers — one of my favorite movies of all time. It has all the trappings of a great B-grade creature feature, like Gremlins and Critters, but it just really falls flat. Phillips is the sheriff in a sleepy Texas town that is suddenly invaded by a huge swarm of genetically altered bats, who are also carrying a terrible virus. In order to capture the bats and contain the epidemic, the CDC call in a zoologist who specializes in “batology.” At first, the film is off to a running start and is quite action packed. When we get to the town and finally introduce all the characters, it just slows down and get’s really uninteresting. There were too many scenes with bats attacking people, and said people being unable to defend themselves. I kept rolling my eyes the entire time, because the townsfolk simply continued making the worst decisions. When we finally reached the movie’s resolution, I wasn’t invested in a single character and honestly couldn’t tell you what happened to them. It’s really unfortunate because this could’ve been a really fun flick, but it ultimately disappointed me.